This is THE BEST FROSTING EVER!!! Seriously. There are a lot of recipes out there that claim to be “the best ever.” Nothing is more perfect than this hybrid of fresh whipped cream/cream cheese frosting. It is light, creamy, cool, smooth, flavorful, not too sweet, and perhaps best of all, it pairs well with every cake I’ve ever tried it on. It also colors extremely well too. 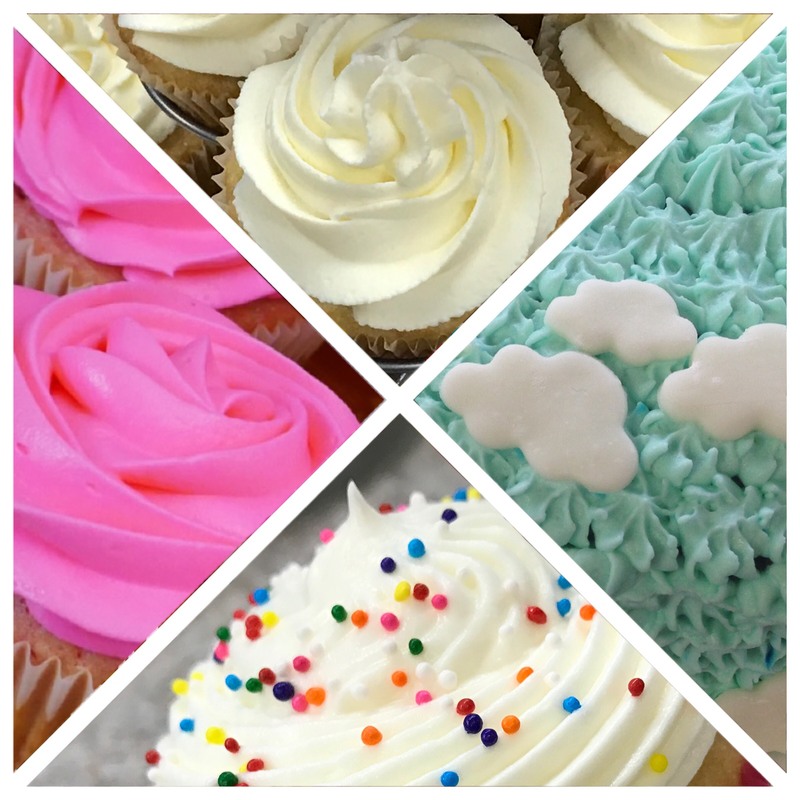 My whipped cream/cream cheese frosting is what I’ve been covering cupcakes with for years. It has been designated as the best frosting by many varied sources. Some of the best compliments have been stunned silence as the consumer reaches for more and later on seeks my coveted cupcake covering recipe. Well, at long last, here it is folks. Whip the cream in a stand mixer on medium high until stiff peaks form. This takes several minutes and completes the whipped cream portion of this recipe. In a medium bowl add cream cheese. Whip with a handheld mixer for a couple minutes until it looks like smooth ribbons. Add all the sugar and continue mixing until completely combined. This is important, all the sugar must dissolve in the cream cheese. It doesn’t take long, but you can test it by feeling a bit between your fingers. If it is a little rough feeling, keep going with the mixer. When smooth add the pinch of salt and vanilla. Mix to combine. This completes the cream cheese portion. 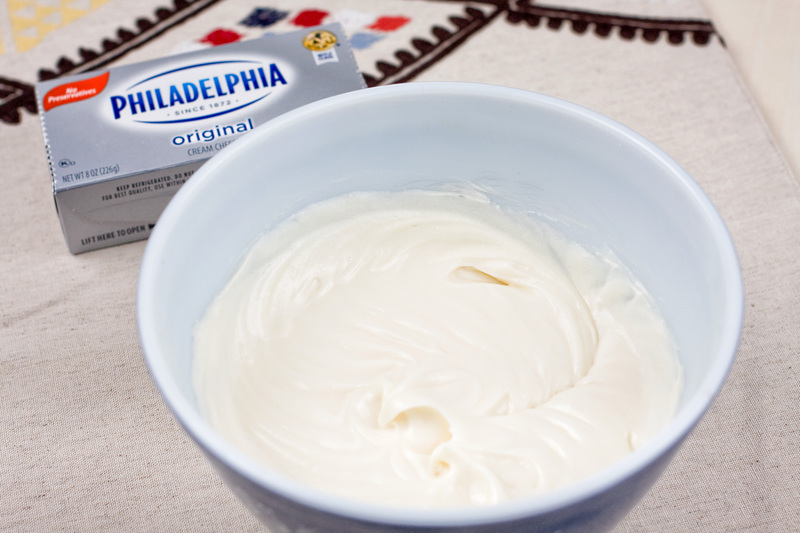 Add the cream cheese mixture to the whipped cream. Let the mixer combine on low or use a spatula to fold together until combined. There it is. A highly delicious hybrid frosting of whipped cream and cream cheese. Just a few simple ingredients and some careful techniques make the perfect whipped cream/cream cheese frosting. 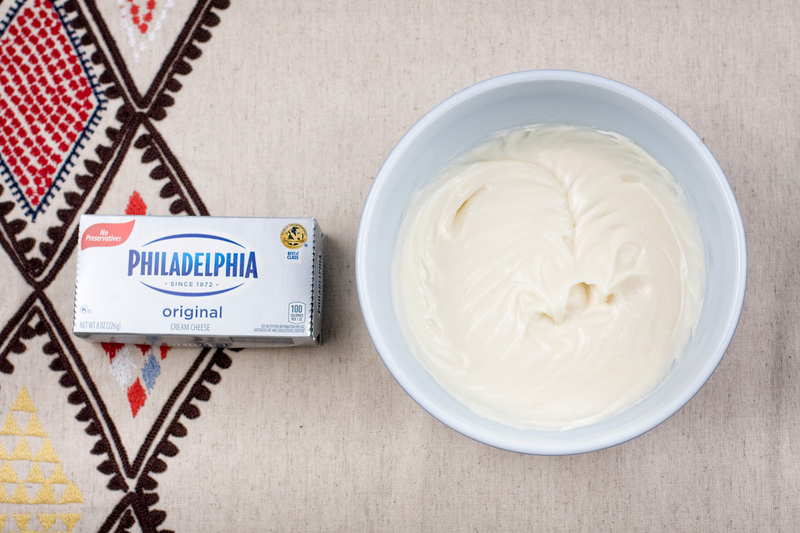 The photos above show the completed cream cheese portion of the recipe. I neglected to photograph the whipped cream itself and the completed frosting in the bowl. Never fear though, if you’ve seen any of my other cake-related posts, like Volkswagen Cupcakes or Airplane Antigravity Cake, you’ve seen this frosting in it’s completed stage and put to use. This whipped cream/cream cheese frosting is not only delicious, it keeps well, colors well, and pipes well. If it is going to be colored, I suggest using clear vanilla extract to remove the chance of discoloration from the dark brown color of typical vanilla extract. For a super rich natural vanilla flavor try this extra rich pure vanilla . Either vanilla you choose, this frosting is the best. Whipped cream/cream cheese frosting is not solely for cakes or cupcakes. I’ve served it on my perfect peach cobbler and pumpkin pie too. Both of which tasted amazing and way better than the other usual accompaniments. One of our friends even suggested to grate some fresh lemon zest on top and add to blueberry muffins. That idea we will have to try. With this fabulous frosting recipe the possibilities are endless. What will you use it on?